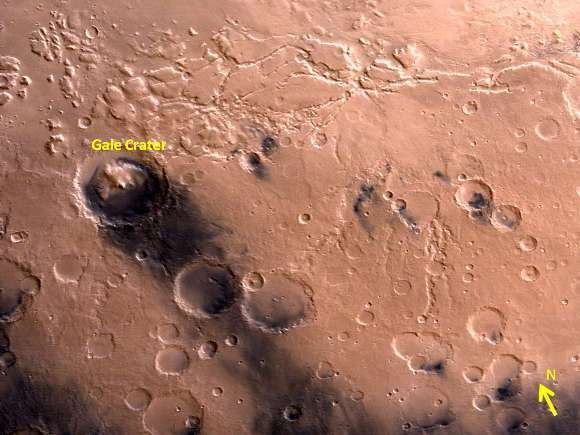 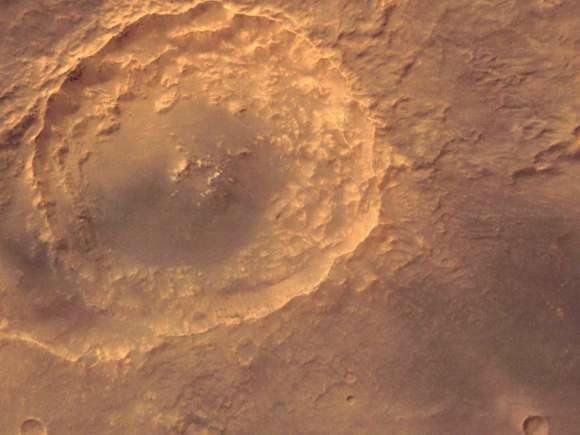 Gale crater as seen by Mars Colour Camera on board Mars Orbiter Mission. 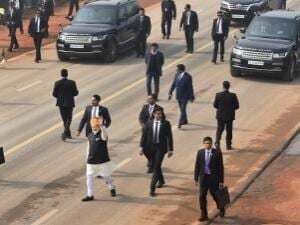 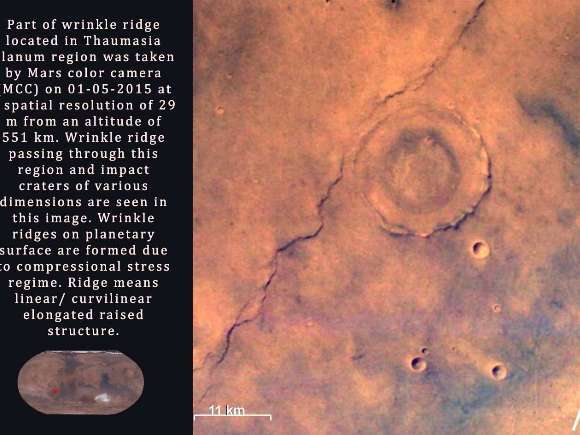 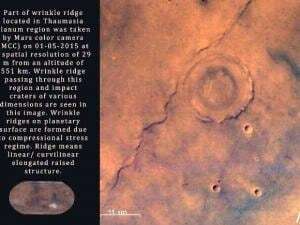 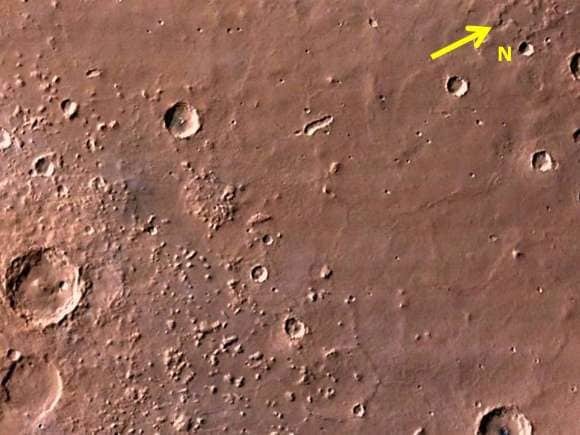 Pictures from Mars Colour Camera (MCC) onboard India’s Mars Orbiter Spacecraft. 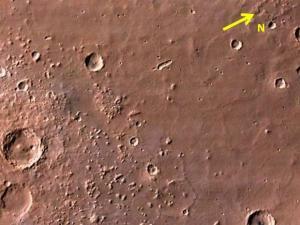 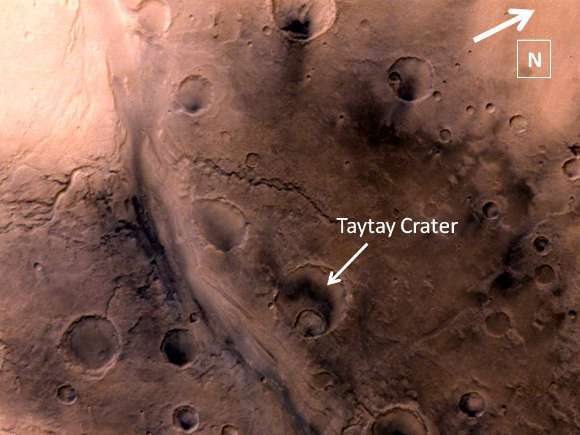 Impact crater located SW of Huygens crater.